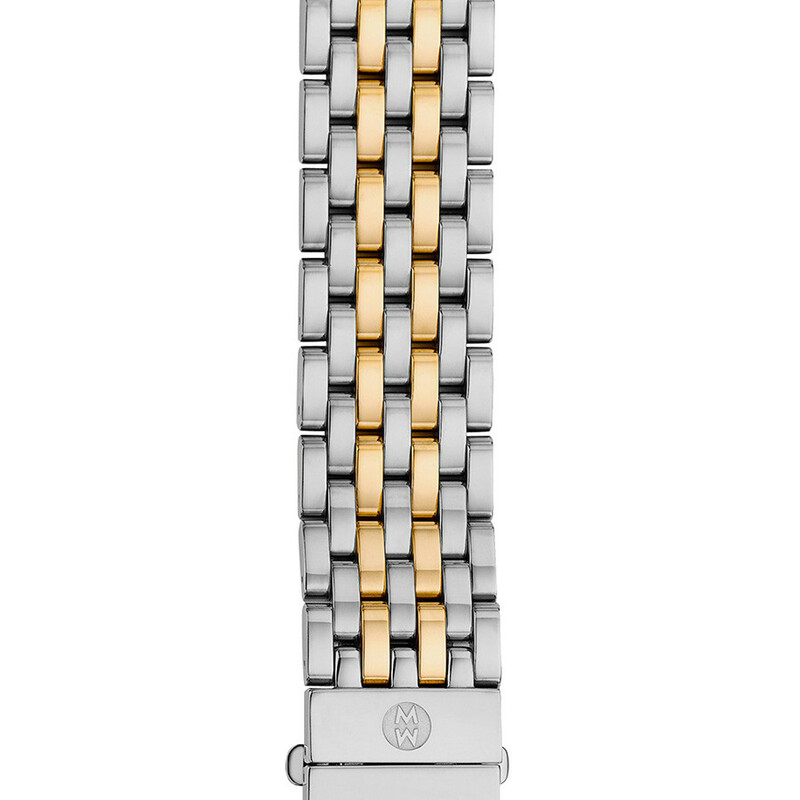 This two-tone 7 link bracelet is for watches in the Serein 16 collection from Michele. It is crafted in stainless steel with two rows of gold plated links to give the piece a delightful contrast. With Michele interchangeable straps and bracelets, you can change the look of your Michele watch daily! JR Dunn has a 10-day satisfaction guarantee for all Michele watch products.